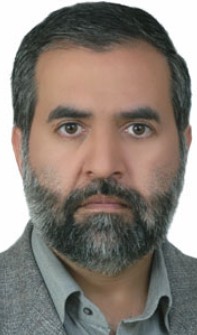 Mahdi Shahriari completed his masters from Shiraz university,Iran.He is working as a Associate Professor for Pediatric Hematology-Oncology from 2001.He is a member of Iranian Medical Council since 1986 and also a member of Iranian Pediatric Hematology–Oncology Society since July 2000 and Member of Iranian National Board Certification for Laboratory Hematology and blood transfusion 2007-2009 and also member of Iranian National Board Certification of Pediatric Hematology – Oncology Since 2009. Published more than 30 scientific articles. 1-Shahriari M; Sharifian Gh: Combined Coagulation factors V and VIII deficiency: report of 21 patients from 17 Iranian families. Irn J Med Sci (IJMS) 1995;20:58-61. 2-Shahriari M; Pishva N; Mohammadi T: Incidence of G6PD deficiency in Fars Province. IJMS 1997; 22: 151. 3- Shahriari M; Zibaee-Nejad M.J; Bokaee HR: Is minor Thalassemia a protective factor against myocardial infarction? IJMS 1997; 23: 134. 4- Shahriari M: Combined coagulation factors V and VIII deficiency: an autosomal recessive disorder which mimics moderate Classic Hemophilia. IJMS 2000; 26: 88-89. 5-Shahriari M: Serum Folate level in minor Thalassemia. IJMS 2000; 26: 331. 6- Shahriari M: Hepatitis C Virus infection and HIV in Hemophilic patients in Fars Province, Iran. Hemophilia 2000;6 (Supplement ): 331. 7- Amir-Ghofran Z; Shamseddin A; Shahriari M: Antigen expression in acute in acute lymphoblastic leukemia. Med J of I.R.Iran 2000;14: 111-114. 8- Ansari-Lari M; Saadat M; Shahryari M; Farhud D.D: Sister chromatid exchanges and micronuclei in lymphocyte of nurses handling antineoplastic drugs. Irn J Publ Health 2001; 30: 37-40. 9- Karamifar H; Shahriari M; Amirhakimi G.H: Linear growth deficiency in ß-Thalassemia patients: Is it growth hormone dependent? IJMS 2002; 27: 47-50. 10- Karamifar H; Shahriari M; Sadjadian N: Prevalence of endocrine complications in ß-Thalassemia major in the Islamic Republic of Iran. Eastern Mediterranean health J. 2003; 9: 55-60.